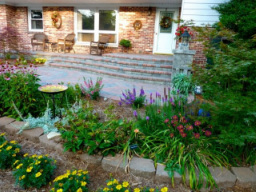 Shawnee Landscaping strives to form long lasting relationships with our clients. Every design we create is unique to you. We will talk you through the design process from concept to completion. Our goal is to make every landscape fit the client's needs and expectations by being functional as well as aesthetically pleasing. Shawnee Landscaping can easily enhance your home with a beautiful landscape or create your perfect outdoor living area- and all within your budget. "Thank you for the amazing work on our patio! We love the results and know we will enjoy our new back yard retreat for years to come." You can see samples of our work in our gallery. We are proud of our portfolio and would love to design and build your next project.